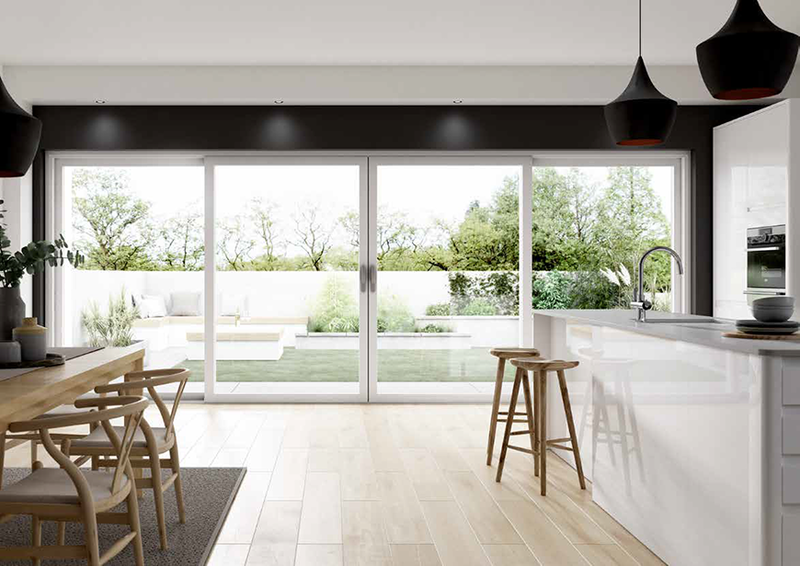 WarmCore inline patio doors allow natural light to flood into your home through largely glazed sashes that maximise the enjoyment of your view. 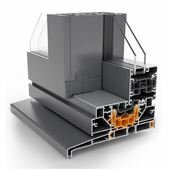 The full-width thermal core at the heart of the WarmCore range lets you enjoy the desirability and durability of aluminium while keeping your home snug and warm. 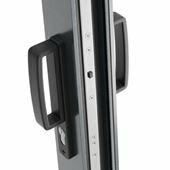 Custom designed 10 wheel rollers glide effortlessly on a precision engineered track, making these panoramic doors the perfect blend of aesthetics and performance. 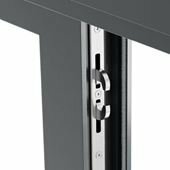 The WarmCore inline patio uses a unique, high-quality wheelset with each sash running on 10 self-leveling rollers to give you ultra-smooth, reliable performance. The wheels have been tested to 50,000 cycles, so you know your doors will be running effortlessly for years to come. 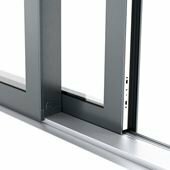 The WarmCore inline patio uses a unique, high-quality wheelset with each sash running on 10 self-leveling rollers to give you ultra-smooth, reliable performance. For a truly modern look, we’ve chosen bold shades including Pure White and Anthracite Grey with dual colour available that’s simple to fabricate, with a range of sash and hardware options. 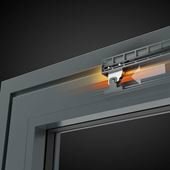 The WarmCore full-width thermal core in the sashes gives a double glazed U-value of 1.4 and triple glazed U-value of 1.0. 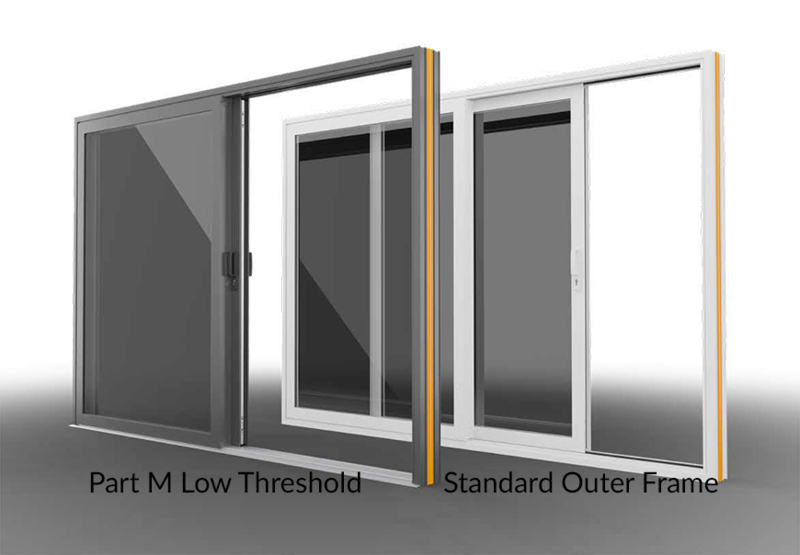 WarmCore Inline Patio Sliding Doors. 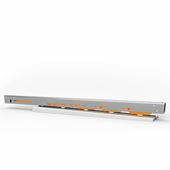 THIS PRODUCT PAGE IS CURRENTLY IN DEVELOPMENT AND FOR THE PURPOSE OF CUSTOMERS TO SEE VARIOUS CUSTOMISATION AVAILABILITY. PLEASE CONTACT US FOR MORE DETAILS: 0117 971 99 22 PRICE INDICATED IS NOT FINAL, ADDITIONAL CHARGES CAN OCCUR. THIS IS A MADE..